This is my son on bath night. We are in the middle of a toddler power struggle. I’m desperately trying to figure out how to make my kid listen so we can get on with the bedtime already. He used to love baths, but in the past two months, my son decided baths are the equivalent to walking on nails with bare feet: pure torture. To be honest, I’m still confused. I can’t tell if he simply doesn’t like the bath or if he doesn’t like baths because it means bedtime is imminent. Or because I told him to take a bath. Or something completely mysterious and different. 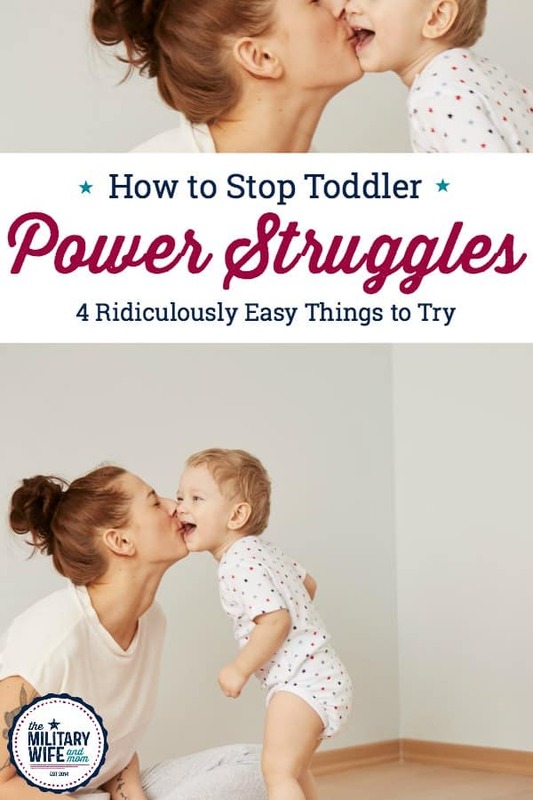 But one thing is certain…when bath time happens in our house a few times per week, we are served a heaping dose of power struggle, accompanied by a piping hot side of meltdown. If I am creative enough with my toddler listening strategies, I can get him into the bath and avoid the power struggle. It takes a bit of work, but it can be done. Then in a bizarre twist, he refuses to get out of the bathtub. After trying a handful of listening phrases and avoiding phrases that discourage listening, nothing worked. So I picked him up, wrapped him in the towel and carried him to his room. I knew exactly what I needed to do. Step 1: Do not panic. Repeat: Calm on the outside, even if you’re crazy on the inside. I sat on my son’s bed, pulled him and all the rage running through his body on top of my lap. I wrapped my arms around him, hugging him as lovingly and snuggly as I could. Which if you’re trying to stay positive, this is simply your child feeling safe enough to let all the emotion out. It’s seems bad, but it’s actually good. Step 3: Speak low and slow. Using a low voice, repeat and reflect your child’s words back to them. This is key to helping kids process their intense emotion and move forward. I said it again, just a little differently. Step 4: Voice a feeling, start healing. Kids–especially the youngest kids–experience incredibly INTENSE feelings but they don’t know what they are called or how to process them. Naming your child’s feeling for him can help him start to process the emotion, as well as feel validated. I said it again one more time. It was as if that was all he needed…for me to tell him that I understood what he was telling me. That I understood that he was super angry about getting out of the bath and the towel and not having control over his life and anything and everything that built up that day. Is it really that simple to end a major toddler power struggle? I asked him to turn around and give me a hug. He did. I asked him to get his pajamas on. He did. I still have no idea if he hates baths or bedtime or yellow towels. Quite frankly, I don’t think he does either. Sometimes it’s not really about the towel or the bath. Sometimes kids just want to feel heard and important. Deep down, we all feel the exact same way our kids do. We all want to feel heard and important. When the days are hard and I just want to scream, that’s what I remember. He wants to feel heard as much as I do. It’s not about the towel. It’s about feeling like what you have to say matters to someone else. My kid is the same way about getting in the bath! He fights bedtime with everything, so a lot of the time I think it’s related to that. We do a lot of acknowledging feelings in our household. Lauren, I’m a grandmother who takes care of my number 10 and number eleven grandchildren every day. I homeschooled my own kiddos all the way through high school, and having five kids of all ages around every day, day in and day out was a challenge. Your advise on how to calm a chaotic situation is right on. My daughter is a military mom with four kids of her own. I admire all she does and are full of awe of my grandchildren. Thanks for your wonderful blog. Even though I”m a grandmother now, I still read it! I’ll soon be launching a new blog for moms who homeschool. I hope I can do it as well as you do! Thank you for this! I just now ran into a situation with my 4 year old that was very similar and I felt awful for not knowing how to handle it best. After reading this article I have such a clearer understanding about what I was missing and what she needed. Love your blog and I always get so much out of it. Bless you! I’m amazed. After a 1-hour tantrum I took your suggestion and made sure my son knew that his feelings were heard. It worked. He stopped screaming. He is now peaceful. It makes so much sense. But when we’re tired and irritated it is so hard to see things clearly. Thank you for this important lesson.